Forget the summer slide. Scholastic wants its Summer Reading Challenge to help kids take a summer leap instead. This year's Scholastic Challenge is called "A Magical Summer of Reading," with book suggestions, videos, and activities connected to the 20th anniversary of the U.S. publication of Harry Potter and the Sorcerer's Stone. New this year, community partners such as public libraries, YMCAs, Boys and Girls Clubs, scout groups, and more, can sign up. 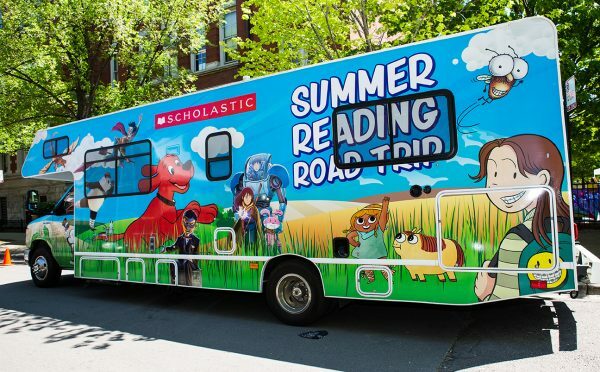 Scholastic made this change to support the partners in providing learning opportunities for kids over the summer, and to reach kids who otherwise may not have access to or participated in the program before. All who register can use the free resources and activities to help their children gain enthusiasm about reading over the summer. 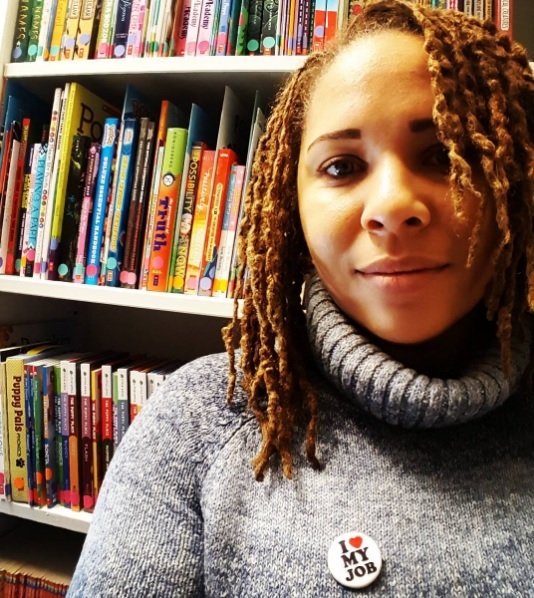 "The excitement around that book is an opportunity to create a lot of materials and videos and reading lists and activities and reading enhancements to make it fun during the summer for kids to participate," says Deimosa Webber-Bey, one of Scholastic's four librarians. Pre-registration for the free summer program begins on Monday, April 9. The Challenge starts May 7, when kids can begin logging their reading minutes, and runs through September 7. Scholastic will tally the minutes read, and on Wednesday, September 26, will announce the "Best in State" schools, Top 10 libraries, and Top 10 community partners. "When you’re a teacher or a public librarian and your budget is limited, you’re looking for resources you can pull out of thin air and create a fun experience for your kids," says Webber-Bey, who is hopeful the Harry Potter theme and activities, as well as the potential for the Scholastic Reading RV to visit, will get educators and kids alike excited about the program. Each state can also have a Reading Ambassador, typically a governor or governor's spouse, to attend events and help "emphasize the importance of literacy for all children in their respective states." Reading over the summer is key to keeping students' reading skills and confidence from falling. The most recent Kids & Family Reading Report from Scholastic showed that six in 10 children ages six to 17 said they enjoyed reading books over the summer, and 80 percent knew it would help them during the following year. So why don't some children pick up a book during the summer? The obstacle to kids reading is often access and economics, the study found. On average, kids read eight books over the summer; however, one in five kids in lower-income families do not read any books at all over the summer months. In Scholastic's Teacher & Principal School Report, 46 percent of teachers and principals nationwide say that their students do not have adequate access to books at home, and 91 percent said schools play an important role in expanding that access. Two studies were conducted on summer reading initiatives in Greenville, SC, and Stoughton, MA. The results showed that when the reading resources are there, reading and confidence increases, and fewer students experience a loss of skills during summer vacation. In ;both studies, "more than 85 percent of families agreed that the free books their children received through the initiatives contributed to them reading more over the summer." I am disappointed that Scholastic lumped librarians together with educators and principals when collecting responses data for this study! One of the points made is that 57% of *teachers* "make books available for students to take home during the school year." However, the methodology of the study indicates, "When data is presented among teachers, librarians are included unless otherwise specified. When the term 'educators' is used to describe charts, tables and data findings, we are referencing teachers, librarians and principals combined." So, if teachers, principals AND librarians are lumped together, how can we know if the books that went home with students came from their classroom or campus libraries? Also, it is unlikely that teachers were the ones identifying the "types of culturally relevant" reading materials missing from their libraries.